If we are going to resurrect an extinct species, where will it live and what will it eat? Sciblogs is running a series of posts on de-extinction to coincide with a special issue of the journal Functional Ecology focusing on the topic. In this guest post, special issue author Dr Jamie Wood from Landcare Research looks to the past to find answers about the future of de-extinction. As research into overcoming the technical challenges of reviving extinct species rapidly progresses, due consideration should also be given to how the ecological requirements of such species might be determined and provided for. Understanding the ecological requirements of extinct species can be a challenging task, yet ensuring that these requirements are met will ultimately play a major role in determining the success of de-extinctions. In a recent paper myself and co-authors Janet Wilmshurst and George Perry explored how the field of palaeoecology can offer important insights into these aspects of extinct species, and thereby help guide the selection of suitable de-extinction candidates (particularly those that became extinct during prehistory). Maintaining a healthy, stable and self-sustaining population of a resurrected species would require a number of things. High on this list would be a sufficient area of suitable habitat. A variety of clues are used by palaeoecologists to learn about the habitats once occupied by extinct species. The location of fossil remains can provide the first clues. For example, these might indicate whether a species was more common in lowland or alpine areas, or arid or wet regions. Moreover, the location of fossil remains may give insights into whether certain landforms are required for nesting or hibernation. 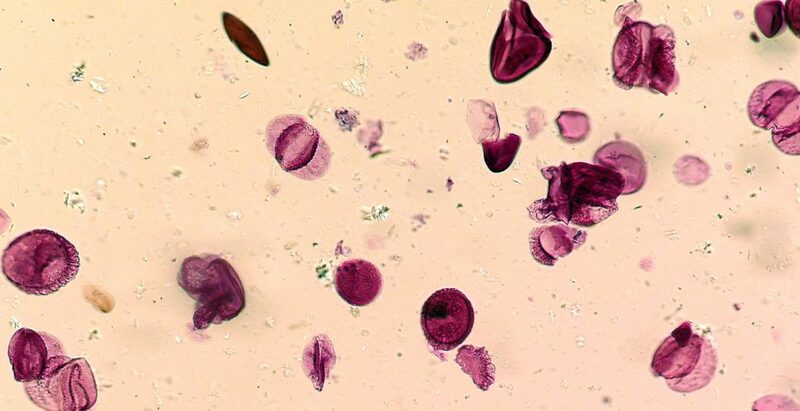 Radiometric dating of fossil remains may allow their correlation with nearby sedimentary records that contain information on contemporaneous habitat, such as preserved pollen grains, phytoliths, seeds or even plant DNA. Further evidence can come from fossil remains of extant species (the habitats of which can be directly observed) found alongside the remains of the extinct species. The diet of extinct species is another important consideration, particularly as a key rationale for pursuing de-extinction is to restore lost ecosystem processes and function (often these relate directly to aspects of diet, such as pollination, seed dispersal and nutrient cycling). Information on the diet of extinct species can also be gained in several ways. Stable isotope analysis of bones, teeth, eggshell and feathers can reveal the trophic position of a species, for example, whether it was a herbivore or carnivore, or whether if ate marine or terrestrial foods. Dental microwear textures and cranial mechanics can also be studied to inform on dietary niches. 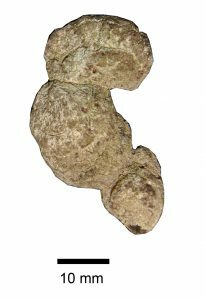 Perhaps the most detailed information though comes from preserved gut content or dung (coprolites), as these allow the actual remains of the food that the extinct species ate to be directly examined and quantified. Such samples can also provide insights into the very processes that are hoping to be restored through de-extinction, such as pollination or seed dispersal. Such data could in future be used to model the effects of resurrecting different species on an ecosystem. To show how this might work, we performed a fun little experiment where we resurrected (in silico!) the South Island giant moa (Dinornis robustus) and upland moa (Megalapteryx didinus), and explored what effects this might have on avian herbivory networks on New Zealand’s South Island. Moa are one of the best studied prehistoric extinct groups of animals, and the plants that were consumed by these two species in particular are known in relatively high detail based on gizzard content and coprolite analyses. Moreover, we had recently assembled a large database (>2,800 records) of observed interactions between South Island birds and plants, which provided a framework for assessing the moa species. Tangled web of interactions between birds and plants on New Zealand’s South Island, including ‘resurrected’ South Island giant moa (Dinornithidae) and upland moa (Megalapterygidae). Most of the plants consumed by moa are also eaten by other birds, yet there are some moa-specific interactions. Plants eaten by both moa are shown in purple. Source: Wood et al. (2017) Functional Ecology. Both moa species increased the number of plant families in the network (by 5.4% for South Island giant moa and 10.8% for upland moa), that is, they ate plants that no other birds have been recorded eating. And, because the plants eaten by the two moa species were slightly different, there was a small additional effect of resurrecting both species (giving a total increase of 11.7% plant families). These are relatively significant increases! Most of the plants that were only eaten by moa were small shrubs and herbs, many of which had been identified from intact seeds preserved in moa coprolites, suggesting these plant taxa may particularly benefit from the resurrection of moa for dispersal. However, if resurrected, moa would be introduced to habitats now compositionally different to those of the past. New Zealand now has >2400 naturalized exotic plant species, and it is interesting to consider whether moa might be effective and novel dispersers for any pest plant species and facilitate further spread? Clearly palaeoecology cannot provide all the answers! It’s not only the interactions between a resurrected species and its external ecosystem (e.g. habitat, food) that need to be considered, but also its internal ecosystem (e.g. parasites and microbes). A staggeringly high proportion of cells in animal bodies belong to these organisms, and large body of research is now demonstrating how important these are for aspects of health and digestion. Details of these can be challenging to obtain for extinct species, but oral microbiomes of extinct mammals have been reconstructed from DNA preserved in dental calculus, and traces of gut microbiomes are preserved within coprolites. External parasites have been recovered from the remains of extinct animals, and gut parasite communities have been reconstructed from microscopic and DNA analyses of coprolites. However, parasites often exhibit host-specificity, and this may prove a barrier to restoring parasite communities in resurrected species. Internal ecosystems are particularly relevant considering the most likely path to de-extinction, i.e. the resurrection of selected traits in closely related species (rather than recreating an exact copy of an extinct species). By this method parasites are perhaps not so much of an issue, but certain microbiota may be. For example, an elephant provided with the key traits allowing it to survive in a cold steppe environment, with the aim of replacing woolly mammoth, would presumably retain a selection of elephant parasites. But, would an elephant’s gut microbiome allow it to digest the same vegetation as a mammoth’s did? The same can be said for certain moa species that ate high proportions of fibrous woody material. Their diets likely required a specialized gut microbiota that may not be able to be recreated in any other bird. 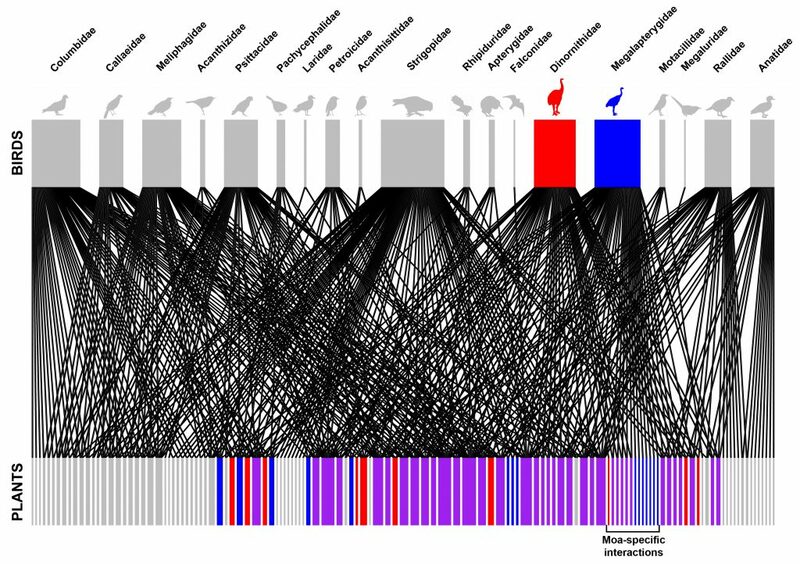 Palaeoecological analyses provide a useful window into the ecology of extinct species, including aspects of habitat, diet, parasites and microbiota. Despite these unique insights, palaeoecological data can only ever provide an incomplete picture, and therefore could only complement, rather than replace, observational or experimental data on the resurrected organisms themselves. Eventually, though, as technologies progress towards making de-extinction a reality, the insights gained through palaeoecological studies may play an important role in helping guide and inform the selection of suitable de-extinction candidates. Dr Jamie Wood is a researcher in the Ecosystems & Global Change team at Landcare Research. You can read his article (co-authored with Janet Wilmshurst and George Perry) in Functional Ecology here.